TULSA – Michael Weathers stepped to the free-throw line, dipped his shoulders and released his high-arcing attempt. It came up short. His next one followed suit, as did three of his four attempts from the line. His first pair of misses could have cut Tulsa’s lead to five. Instead, the loose ball went off McGriff, and Tulsa capitalized to make it a nine-point game with 7:05 left. Golden Hurricane senior Daquan Jeffries hit eight of his nine free-throw attempts in Tulsa’s 74-71 victory against the Oklahoma State basketball team on Wednesday in Reynolds Center. 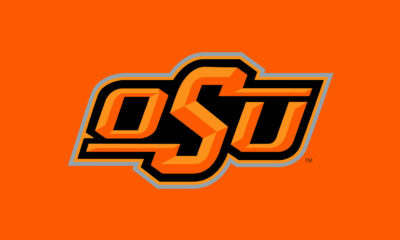 Jeffries hit more shots from the line than OSU did as a team, as its pitiful performances from the free-throw stripe continued to hamper it in narrow games. Sans the three captains – Thomas Dziagwa, Cameron McGriff and Waters Waters – the Cowboys are 43-of-89 at the free-throw line this season. Waters, who tallied 12 points on 3-of-10 shooting, missed a 3-pointer as time expired. Graduate transfer Mike Cunningham led the Cowboys (4-4 overall) with 14 points. He made six of his 10 shots, including two from behind the 3-point line. Dziagwa chipped in 12 points after four makes from beyond the arc. McGriff played only 20 minutes because of foul trouble. He was limited to four minutes in the first half after picking up two fouls in the first 1:30. He tallied three triples, all in the second half, but it took him some time to get into a rhythm. The Cowboys continued to knock down 3-pointers late in the game. In the final 36 seconds, the three captains all hit a 3-pointer, with McGriff’s triple bringing the score within one point with five seconds remaining. After a quick foul, Tulsa (6-3) converted its free throws before Waters shot fell short as time expired. Before halftime, freshman Duncan Demuth shot a floater as the halftime buzzer expired. It was originally called a successful try, but after a review was ruled to have been shot after the buzzer and didn’t count. Tulsa led 30-29 at halftime, and it swiftly grew that lead after the break. The Golden Hurricane forced a turnover on OSU’s first second-half possession. After Jeffries skied for an offensive rebound, he swung to Curran Scott in the corner who proceded to knock down a 3. Sterling Taplin hit two free throws, Martins Igbanu hit a putback attempt and Jeffries hit a fast-break layup, igniting a 9-0 run to begin the second half. Freshman center Yor Anei continued to show his shot-blocking presence, as he swatted four Golden Hurricane shots in 24 minutes. He tallied only two fouls while scoring eight points and grabbing four boards. He was effective for much of the first half with McGriff in foul trouble. This is the second consecutive game the Cowboys shot 50 percent from the free-throw line. Against Minnesota, the Cowboys missed 12 free throws in a seven-point loss. Against the Golden Hurricane, a three-point defeat, six missed free throws again hampered the Cowboy second-half rally. 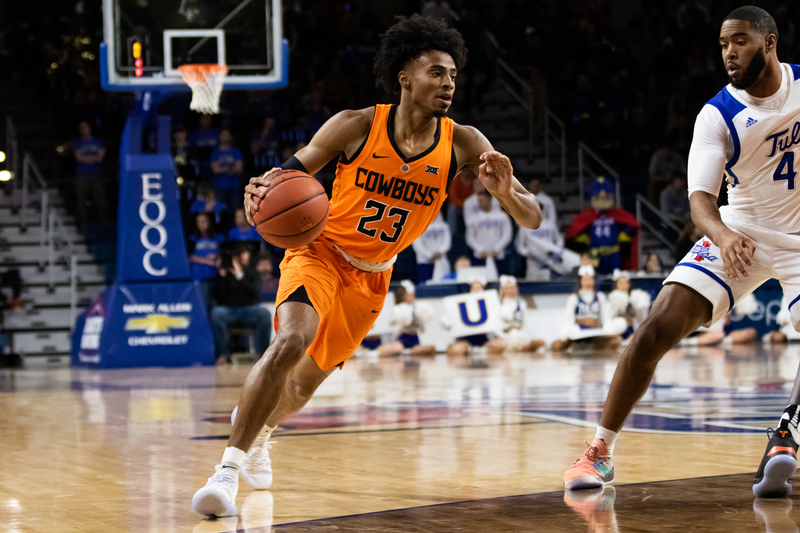 There were plenty of Cowboy fans donning orange in the Reynolds Center on Wednesday, helping provide the push in the second half to give the Cowboys a chance late. But every time they roared, Tulsa gave its fans a reason to cheer more loudly. For every sigh OSU fans released when another free throw rattled off the rim, Golden Hurricane players brought cheers with every make. It’s a problem that can be corrected as the season progresses, but it’s affecting a young OSU team trying to find its footing.